Cook the pasta as package directs. Rinse under cold water and drain. 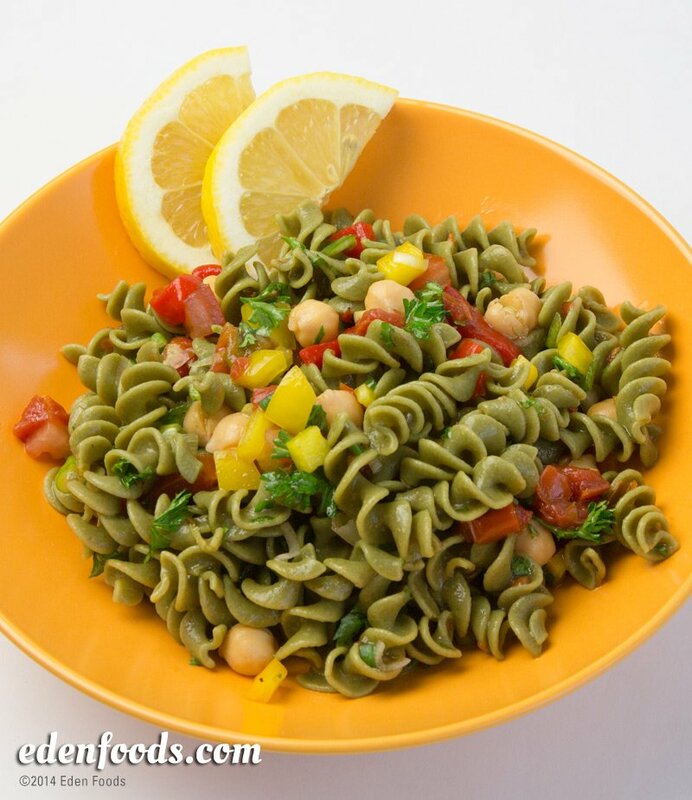 In a large bowl, toss the pasta with the beans, carrot, bell pepper, scallions and parsley. Whisk together the dressing ingredients in a small bowl. Pour the dressing over the salad and toss to mix.